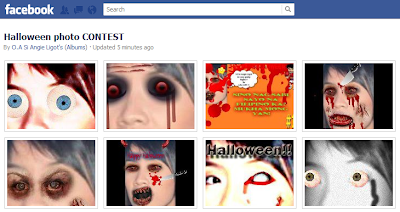 Angie Ligot Facebook Page Halloween Photo Contest, On-Going! Are We Becoming Meaner Than 'Angie'? As it turns out, someone has taken it upon himself to start a Facebook Page dedicated to the infamous Angie Ligot. Both the mechanics and the prizes remain unclear. 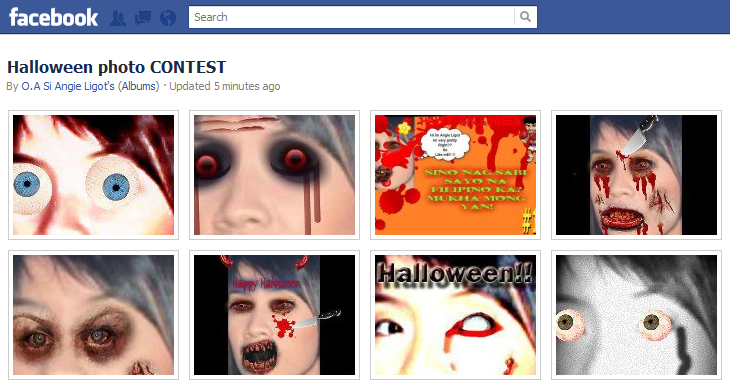 But that obviously didn't stop people from submitting their 'entries'. I think it's plain mean (more so when we think about the fact that we're not even sure if Angie is indeed responsible for that statement). 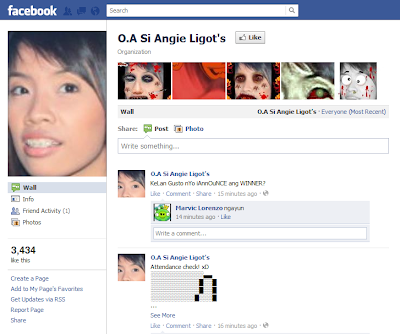 Are we becoming the monster that we're imagining 'Angie' to be?